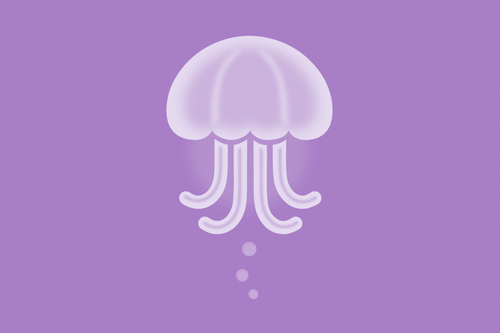 Jelly Improves Overall Search Experience or Algorithm Based Search Just Gets Cornered? Jelly features an excellent amalgamation between social networking and traditional web search. The idea behind this venture is not something unique or exclusive. Web domains like Quora, Yahoo Answers, Google Answers and Ask.com have already played their parts as social networking Q&A platforms. However, none of them was as dynamic and interactive as Jelly. Furthermore, the failure or not much popularity of the earlier ventures has also created the scope for speculation whether this Q&A based social search app will be successful for improving overall search experience or it will emerge as a threat to popular algorithm-based search. Let’s try and get the insight! Capitalize on The Social Connections: Social networking is the new language of connection and Jelly lets you exploit this huge resource. You need to authorize your Facebook or Twitter account or both with this app before starting with it. Jelly Industries, Inc. claims that the best benefit of their services can be enjoyed through multi-network accounts. Once you are registered, the channel of interaction between you and your friends and friends-of-friends widens up. The interaction, however, is question-answer based. You can ask questions or answer the queries of those in need of help. This question-answering affair appears on respective user’s end in card format. For quality answers, you may receive ‘thank you’ card and continue to increase your collection through every successful attempts. Get the Best Out of Your Connections’ Connection: If you are already using Jelly, the ‘forward’ option with every question card must have drawn your attention. This is a unique aspect about the social search app that it allows users to forward or pass on a question to people in his/her network. Not only that! With every answer card the ‘share’ option also appears. If you find an answer relevant to a question, someone asked in your network, you are free to share it with rest of your friends. Jelly believes “If you have a question, there’s somebody out there who knows the answer.” This is how they continue justifying their mission! Questions with a Visual – Beyond Dry Words: This feature is very much like Google Goggles, except the part that you receive the answer to your query from live audience than an ever-growing database solving your problem. There is no doubt that image based sharing, query and answering play leading roles when it comes to expanding the scope of social recognition. Furthermore, the ‘Point, shoot, ask!’ facility allows you to receive multiple answers and perspectives to a particular problem. This is something quite unlikely from image results that Google will offer you with. The ‘Point, shoot, ask!’ feature of Jelly also allows you to focus on a particular region of the subject you are shooting at – so that you can ask a more specific question and receive specific solution to your query. If you are looking for instant answer to your query, it is better not to rely on Jelly (In certain situations, you can’t really keep staring at your mobile screen and wait for the answer to pop-up). Looking for an in-depth and research-based (empirically supported) answer to your doubt? Jelly is definitely a far-from-the-best solution provider to your requirement. Jelly may expose you to the spectrum of experience-based answers but there are certain situations where statistics speaks louder than multivarious levels of human experience. Conventional, algorithm-based search results will give you recent to the latest details, satisfying your requirement. Updates like Facebook Graph Search and Google Hummingbird are here to offer users with more personalized experience with search, especially in a scenario where users are going mobile, rapidly. The introduction of Jelly is simply complementing the scenario. Both Graph Search and Hummingbird have started with providing significant importance to natural language query, over keyword specific search. Jelly is simply beautifying the construction of search and convenience over a solid foundation. The ideas that Jelly intelligence has incorporated are not entirely new. Why? The principle traits of its function have a close connection with Google Goggles image results, Recommend on Facebook, Share on Twitter; yet, the true genius is that these traits have been mixing so brilliantly that the most dynamic social search app has been created, with specific attention to the mobile dependant generation. Conventional algorithm-based search is still not under any threat as there are few limitations of Jelly intelligence and that also on pretty crucial grounds. However, Mr. Stone & Co., if corrects these mistakes and successfully comes up with a search algorithm for Jelly, which is as unique as Google’s then the story may start flowing on a different direction. Thankfully, the mission statement of Jelly Industries, Inc. doesn’t really hint at any such hidden ambition as of now or in the near future.